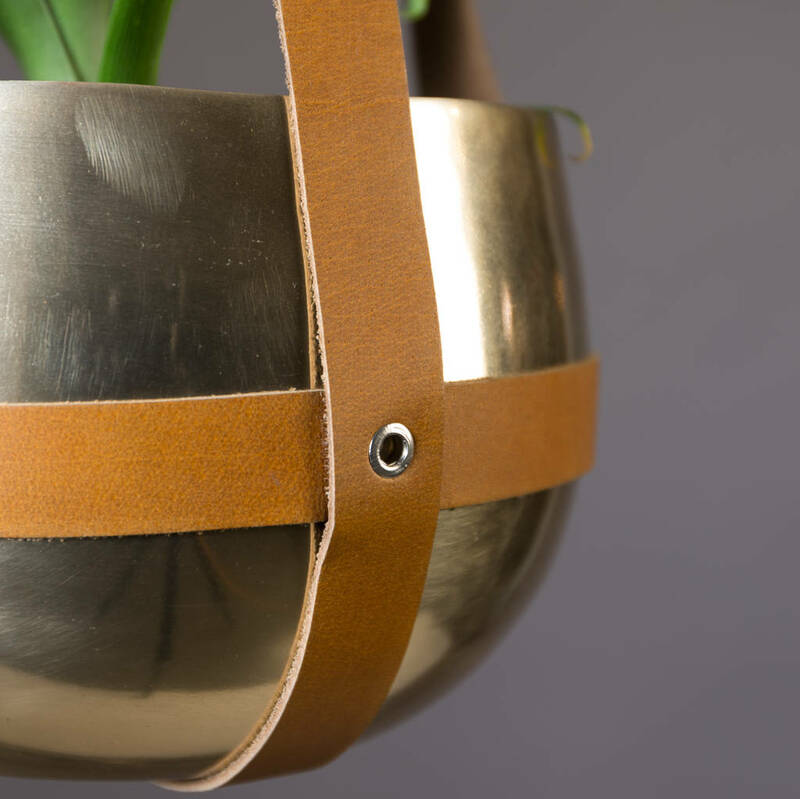 As a more modern twist on traditional hanging planters, we have this aluminum planter hanger. 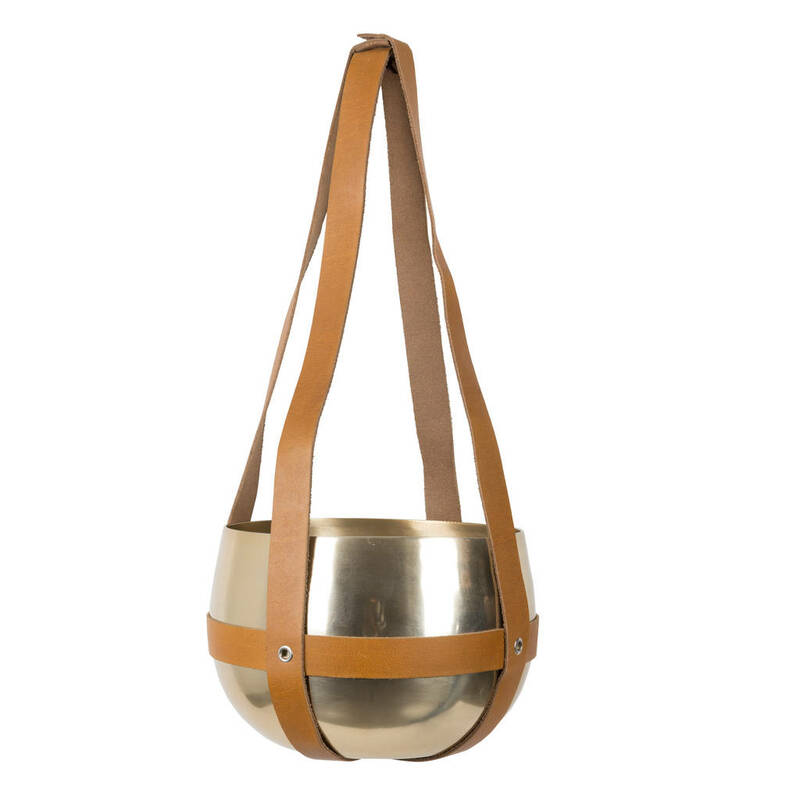 Finished with a brass coating and brown buffalo leather straps it is a real statement piece. 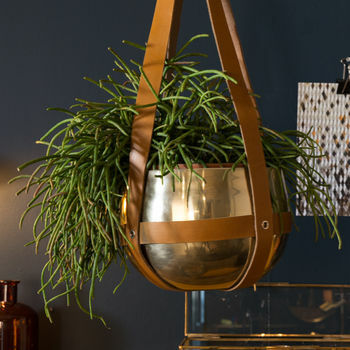 Display exotic plants and greenery to create a contemporary look.